Can my camera be used with different Windows operating systems? Any currently sold Gigabit Ethernet camera can be used with Windows Vista and newer. Some older cameras are known to work with Windows 2000 / XP well but are no longer supported as Microsoft no longer supports these systems. For older IEEE1394 / Optical / PCI systems, please refer to the chart below. Can the high speed image sensor be damaged by too much light? Sensors cannot be damaged by the level of light intensity but can be damaged by heat the transferred energy of the light (heat). If focused light, such as a laser, falls on the sensor surface it can be irreparably damaged. Do you provide lens adaptors for Canon lenses? Yes. We provide a Canon EF mount option for SA Series Cameras. Please contact us from the following link for the details. Does Photron's camera have an IR cut filter over the sensor? 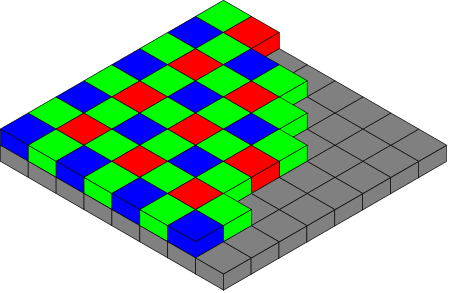 Only color cameras have an IR cut filter on the sensor to recreate colors seen with human eyes. Monochrome cameras don't have IR cut filter on the sensor. Because of this, our monochrome cameras have Near Infrared range sensitivity close to the 1100 nm spectrum. How do I reset my Gigabit Ethernet Interface without losing my data? Push and hold down for 10 seconds the "User Switch 1" on the back panel of the camera. The indicator led's will blink left to right and then right to left. This means your Gigabit Ethernet has been reset, but your network settings will remain the same. How long will Photron support products? Photron supports your camera for a minimum of five years after the date of purchase. We try to support all cameras as long as we can acquire parts, so please contact us even if your camera is more than five years old. What can I do to increase the download speed of my recorded images? Reduce the file to the smallest possible size by only saving the frames you need. You can save a Region of Interest (ROI) which will reduce the size of the file. Download your file in the MRAW format, bit-depth of sensor. Bayer save function reduces the file size and downloading time for color image data. Ensure that the gigabit adapter on the PC has jumbo-frames enabled to its highest value. If your camera is equipped with dual Gigabit interfaces, attach both GigE cables to the workstation via two independent interfaces. When using the HD-SDI output for my monitor, I get color bars on my LCD keypad. What should I do? You can switch the live image between your keypad or monitor by pressing the "Head Select/Function" button on your keypad. In order to view images on a monitor and your keypad, you will need to plug your monitor into the Video Out connector on the back of your camera. Where can I get the latest version of the PFV software? You can download the latest PFV software from the downloads page.